I hope that everyone is enjoying and taking advantage of this beautiful weather we have been having this holiday weekend! 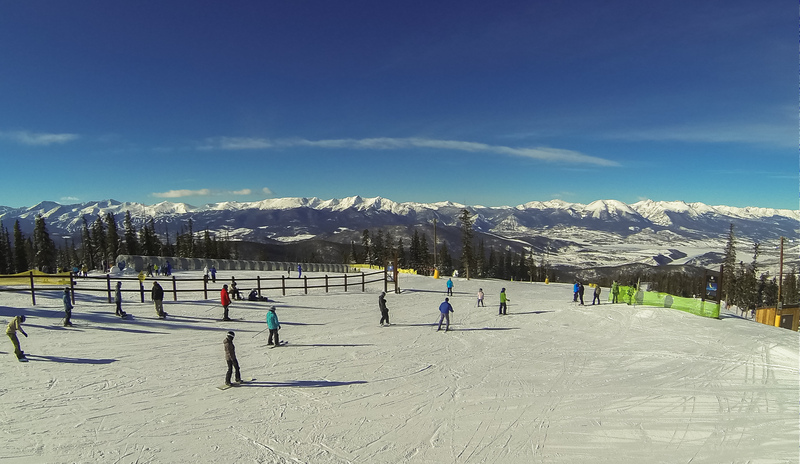 It’s been a wonderful weekend here at Keystone, full of blue skies and great football! The sunshine will continue into the week with highs in the 30s and a chance that mild snow storms will return to us beginning Wednesday evening. This week we continue with the string of events celebrating Skier Safety month. All week long you can go behind the scenes with ski patrol for a day trail sweep. Visit the ski patrol headquarters on top of Dercum Mountain starting at 3:15pm each day to sign up for the trail sweep. Don’t miss SnoFest taking place this upcoming weekend here at Keystone. Not only will there be some excellent skiing and riding to be had, but also great parties, giveaways, races, and even a cardboard derby. Also this weekend, Canvas & Cocktails comes to Keystone! This Saturday evening beginning at 7pm over in Warren Station you can find your artistic side while winding down and enjoying some wine with friends. Also on Saturday, make sure you check out Volcom’s Peanut Butter and Rail Jam. This free amateur snowboard contest will feature fun prizes, and PB&J sandwiches. The January conditions have been amazing so far and we now have over 3,000 acres of skiable terrain to enjoy, so come take advantage of this beautiful weather!